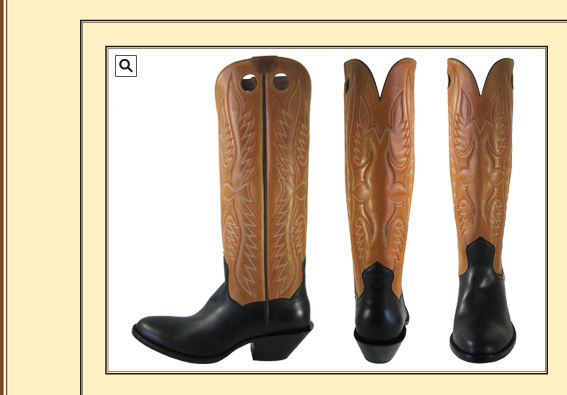 16' heavy calf tops with 6 row multi colored stitching, pull holes, heavy black waxed Buffalo foot, 2 1/4" heel with spur ridge, medium round toe. We will stock standard sizes in D & E widths all with black foot and various colored tops. Call for sizes in stock, available for immediate delivery.